Walton Centre for Neurology and Neurosurgery NHS Trust An internationally acclaimed centre providing an unrivalled range of neurology, neurosurgery, pain relief and specialised diagnostic services. The WCNN has developed a model of care which is acclaimed throughout the UK. University of Liverpool, Faculty of Medicine Comprising the School of Medicine, School of Dentistry, School of Tropical Medicine and the School of Health Sciences. A world leader in medical education. University of Liverpool, Department of Neurological Science. The Neurosciences Research Unit is sited in the Clinical Science for Research and Education Centre on the University Hospital Aintree site, five miles from the main University campus. International Association for the Study of Pain (IASP) An international, multidisciplinary, non-profit, professional association dedicated to furthering research on pain and improving the care of patients with pain. The Journal Pain The online version of the journal Pain®, the official publication of the International Association for the Study of Pain. Backcare – The national organisation for healthy backs A UK charity which helps people manage and prevent back pain by providing advice, promoting self-help, funding scientific research into better back care and also running a self-management programme. The Pain Web A website for health professionals dealing in research, assessment and treatment of pain. MARIARC Magnetic Resonance & Image Analysis Research Centre, Liverpool University, UK. British Pain Society The British Chapter of the IASP. 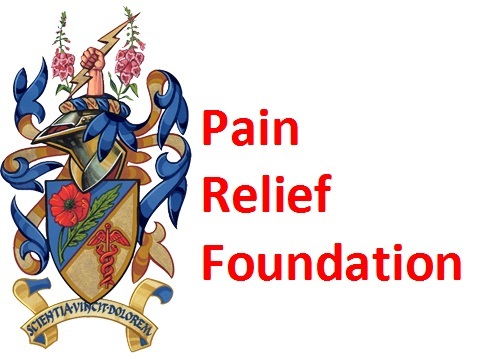 The Pain Society is the representative body for all professionals involved in the management and understanding of Pain in the UK. EFIC. The European Pain Federation EFIC® is a multidisciplinary professional organisation in the field of pain research and medicine, consisting of the 37 chapters of the International Association for the Study of Pain (IASP®), which are the IASP approved official National Pain Societies in each country. EFIC’s constituent chapters represent Pain Societies from 37 European countries and close to 20,000 physicians, basic researchers, nurses, physiotherapists, psychologists and other healthcare professionals across Europe, who are involved in pain management and pain research. SomAffect. The Somatosensory & Affective Neuroscience Group, LJMU. Our group’s research interests span across the whole somatosensory range, and also includes cross-modal interactions with the chemical senses of taste and smell. Our interdisciplinary studies focus on the neural mechanisms as well as the affective and cognitive consequences of painful and pleasant cutaneous sensations, in both healthy and clinical populations. Medico-Legal Expertise in Pain & CRPS. Dr. Goebel specializes in the field of chronic limb pain, including complex regional pain syndrome, in the context of injury, trauma, or medical interventions. He is familiar with the latest evidence and has contributed to formulating evidence in this field as one of the worldwide leading researchers. Mental Health and Neuroscience Research Group. Our lab tries to understand how during our life span and in response to challenges, such as infection or neural trauma, the cell controls the function of genes allowing us to respond to whatever life throws at us.